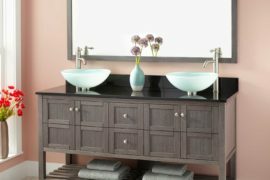 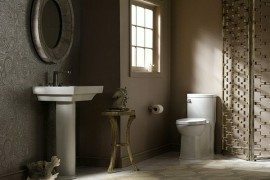 You ought to be choosy while selecting your bath furnishings, why should anything less than spectacular deserve a place in your bathroom? 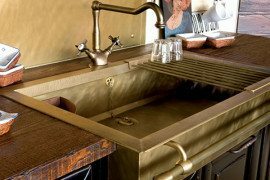 Well, check out Italian designer Rubinetteried Bandini and their exquisite Ocean range of designer sinks that we landed our eyes on. 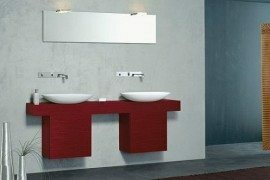 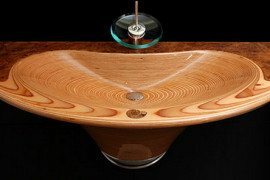 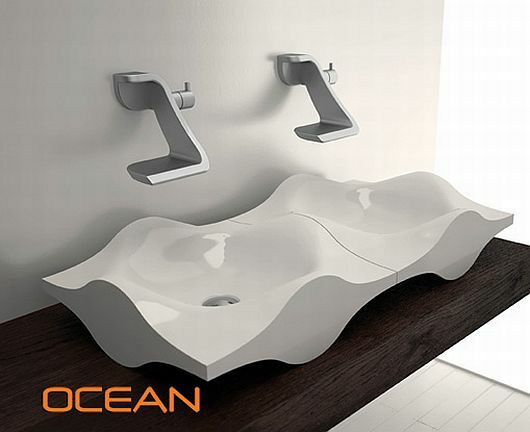 Crafted in resin gloss Techoform, the imposing sinks are scratch-free and malleable all at once. 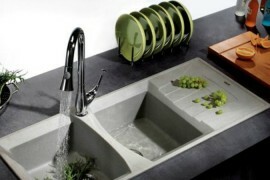 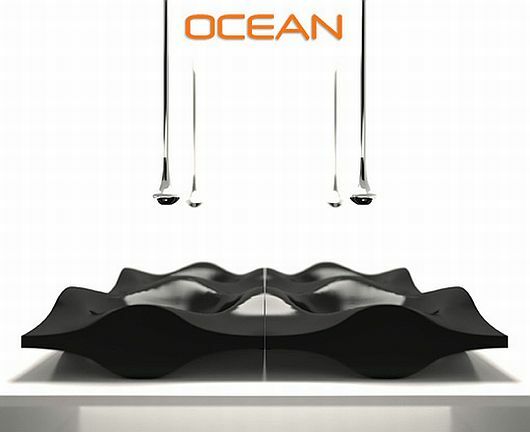 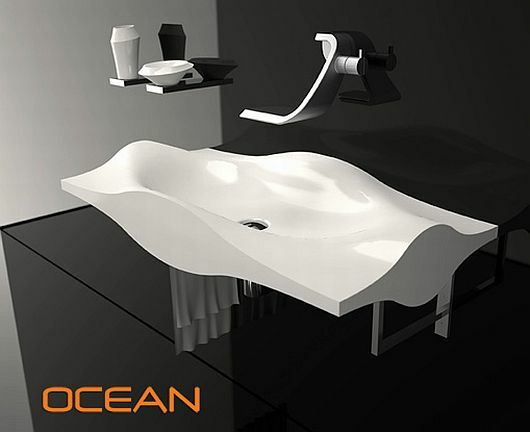 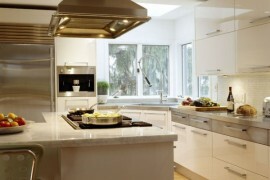 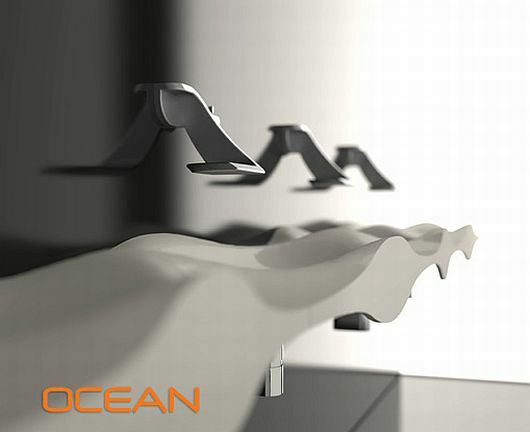 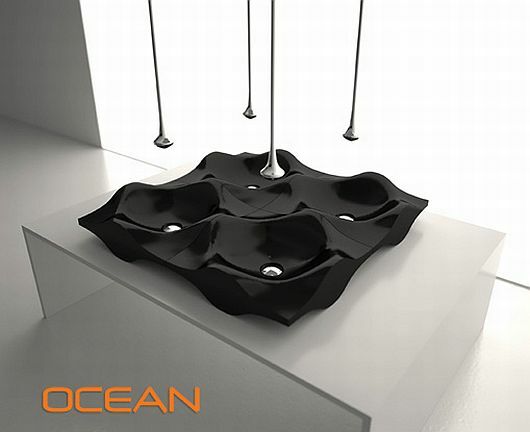 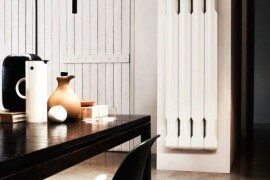 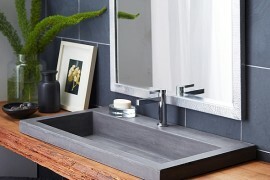 Colored in black and white and available in two sizes, the modern sinks charm with their wavy sculptural shapes. 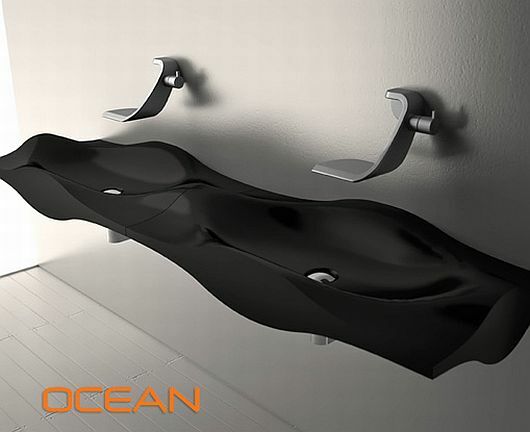 Just fix them on the wall, and enjoy the oceanic magic, they look stunning, isn’t it?